A true Southern gentleman. We have lost a patriot, statesman and principled man. He will be missed. There is not much to add to the many wonderful recollections of this man’s life history, but I felt compelled to leave a reply anyway. Well done Senator! You were always clean cut, dedicated and informative. You are dearly missed and appreciated by the senior community who relied on your well researched informed opinions. God Bless your bereaved family. Fred was a man of integrity and many talents. He spent his life well and left us with very good memories! From humble beginnings this man rose to great heights. He is an enduring example of the American Dream. I think Fred was a great patriot, and a sensible, firm person. He stood for all that’s right. He was tough. He shall be greatly missed. May he enjoy his time in heaven. Through AAG we had the pleasure of meeting Fred Thompson about a year ago. He provided intelligent and thoughtful insights to current events. It was a much deeper conversation than we could have expected, he truly seemed to be speaking from his deep heart. This conversation was much appreciated and confirmed his depth. Thank you Fred Thompson, may you rest in peace. Mr. Thompson seemed like a very good man. He was a good politician and a fine actor. If it were not for him, I would not be in as good a position as I am today. He will be sorely missed. God bless him and his family. Mr. Thompson seemed like a really nice man and I enjoyed his commercials as well as his acting in several programs. He will be missed. God bless his family and friends. We enjoyed Mr. Thompson ..and the shows he appeared on as an actor he is a great person, I would have enjoyed meeting him in person, a fine sentor., he seemed to be very knowledgeable, you got the impression he was not acting, but for real. I wish he was in congress now. Fred represents the cream of the crop, rising from this Republic to serve lts citizenry as statesman, author, actor. His loving family has the greatest loss, and we pray that God welcomes Fred home with open arms for service rendered home and to the public. We pray God’s support to his family and loved ones. Amen. A Statesman, actor, and someone who just seemed to be a warm, caring, person. Our country lost a wonderful person. He was a good man. He believed in doing THE RIGHT THING. Many more of us should be like him. Fred could have been my president, his incredible values & commen sense made him the best choice for our country in these trouble times. Blessing to his family , especially his children. I am so sorry for your loss , he was a great actor and I really enjoyed all the movies I have seen him in , my God Bless Him into his Heaven. Thank you for all that you have done. We shall cherish your memory and miss you with all our hearts. I will always remember Mr. Thompson as a strong man in all of his accomplishments. Praying for comfort, for his family. He is a great man and him leaving will be a great loss to this world. I will always have the deepest respect for this great American. He will be missed by me and our country. It’s always sad to loose what seems like an old friend ,and especially when its a human like Fred. We need a million more just like him …….Rest in pease Fred dear , you brought Pride to our Country and hours of pleasure with your acting…..I know the Angels are happy to greet you.. I loved Fred Thompson and he will be truly missed. Always enjoyed seeing him in all of the various roles he played in life. Made you feel like you were observing an old friend. R.I.P. Fred Thompson, thank you for sharing your gift with us. WE loved him on Law and Order and respected him as one of our great Statesmen….he will be missed in all corridors of life. HE WAS JUST FRED….GREAT IN EVERY WAY. OUR LOVING THOUGHTS GO TO HIS FAMILY….SADNESS WILL SOON TURN INTO GOLDEN MEMORIES OF A WONDERFUL HUMAN BEING…. I had a deep respect for former Senator Fred Thompson. He was a great patriot and was not afraid to let people know it. He was a very talented actor. I loved all his movies. I think he would have made a great President. He had many talents and he will be dearly missed by his fans. My condolences to his family. I always admired the “political” Fred, especially since his views coincided with my own. I also admired his “upfront”, “no apologies” attitude and his unabashed patriotism. My sincere condolences and best wishes to his family and many friends. He will definitely be missed by his many constituencies. I always called him Fred Dalton Thompson. I remember him from a movie called “Feds” in which he had a major role, and was the person that you always thought he should be. Surprised that he died now. He could have made a good President of the United States, because that was the kind of man who most people would have envisioned as being a President of the United States. I loved him in Hunt for Red October, and on Law & Order, he should have been President Thompson. We are so very sorry for the loss of this wonderful patriot and gifted man who forever touched our lives. I am also a new widow, so I am praying for his wife and his children. He will always be remembered fondly as a proud American. He is in a better place. He is with God. While I was in New Orleans a few years back, I remember running into Mr. Thompson in the lobby of the Hilton Hotel. I had been out running and I think he was on his way to a meeting. As he was my Senator I greeted him with “How are you Senator.”. He stopped and looked at me and said “I am doing fine, how are you.” I told him I lived in Hendersonville, TN at the time and we must have talked for at least ten minutes. It struck me that here was a man that was a Senator, actor and many other things that would stop and take time to chat a few minutes with someone he did not know or ever seen. It made an impression on me that this was really a good man who cared for his fellowman. I was deeply impressed and cared a lot for Mr. Thompson and am very sad to hear of his passing. We all can learn lessons from people like this — I did. I think he was a very fine man, A man that you could trust, and I like him in the movies he has been in. plus all the TV he was in. A Fine Man. Rest in Peace Mr. Thompson, you will be missed, you were a wonderful man. God Bless your family. The world was a better place for having you as part of it. A very impressive and remarkable man, not many like him, now a days. My sincere condolence to his family. May he rest in peace and a lasting memory for all who knew him. I never did meet him. May the road come up to meet you. Thanks Fred for being the man and the person who we loved and believed in. Being a believable and authoritative personality for AAG convinced us to do a reverse mortgage several year ago. Thanks Fred, since this was the best financial decision that we ever made. Praying for you at this time of loss. Mr. Thompson will be missed, as part of the political fabric he was respected, what I will remember most is his role in Law and Order, a more believable District Attorney, could not have been found! Fred Thompson was a great man. He had the love of America in his heart and sole. Fred will be missed by many people. I followed him throughout his life, politics, acting and AAG. I just wished we had more men like Fred. He shot straight and meant every word. You could take it to the bank. His word was high and everyone respected him. Fred was a world treasure, you won’t find very many men like him. I’m sure if Fred was here and could say something, he would say, “I DID THE BEST I COULD.” R.I.P. FRED! Sorry for your lost he will be remembered. I lived in Nashville for 20 yrs. Fred Tompson was a very talented & popular man, he would have been a great President. Our Prayers go out to his family and friends. R.I.P. Fred. Sad to see him leave our presence . He was admired by me for his accomplishments in life and will miss him but watch reruns and say a prayer for his loved ones . The life of Fred Thompson inspires us in so many ways. He has taught us to fight resolutely for what we believe is right, to advocate for those who need our protection, to achieve success with humility, yet face defeat without losing the determination to succeed again. Fred Thompson’s life reminds us that true leaders are those who dedicate themselves to the service of others. We have lost a great leader in Fred, but he has left us with the instruction manual for a successful, purpose-driven life. May he rest in peace. I loved him as an actor and politician. I will pray for his family and know God will hold them. He definitely will be with the Lord. We lost a great person. He would have been great as politicians as he was an actor, as great as he was as an actor he would been a good, honest as a politician. We need men like him watching our back. Great loss!!!! I remember Fred Thompson as man who loved God, family, and his country: a man not afraid to speak his beliefs. 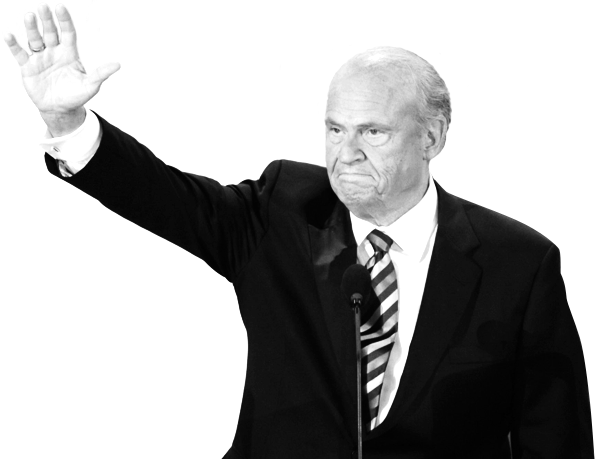 Fred Thompson was a constant reminder and example of everything that is great about our country. A true gentleman and tremendous talent in whatever venue he was participating, whether it be political, theatrical, legal, etc. Fred Thompson,a one of a kind gentlemen of wisom, sincerety,high integrity and multi-talent .We will miss him,his memories will remain forever.Fred’s look alike could of been Dr.Phil. “I am the Resurrection and the Life. Whoever believes in me, even if he dies, shall live.” May these words bring comfort to Mr. Thompson’s family and give them strength to endure today and for ever more. He is home with the Father and one day you will see him again. May God bless and keep each and everyone in the family for his blessings are never ending. It’s always sad to lose a true American and Fred Thompson was certainly that in every respect. We have lost a genuine icon. I felt that Fred had a very unique style of acting that made him so convincing in every role he play. I believe much of his own personality came across in his acting and that contributed to his likability. He served our Country and entertained the world. What a great legacy. A truly wonderful man who will be missed. Yes, gone but not forgotten. Fred Thompson was a very wonderful member of our government and our entertainment groups. He will be missed by many. Fred was a true American. He would have been an outstanding US President. A fan from way back, I wish the reverse mortgage applied to 1975 manufactured homes on their own land. A true friend to the people. He will be missed dearly. My heart goes out to his family and loved ones and friends. God bless you all. I had the opportunity to meet Fred Thompson at a celebration of life service for his uncle, Wayne Thompson, with whom I worked for several years. Since we were from TN originally, there was an immediate heart connection that was like being with family. Fred was gracious and kind and will be remembered for being a talented actor, speaker and a great American. I pray his family takes comfort in knowing that he and Wayne are together at home with the Lord. I have always liked Fred Thompson, even as a politician! When he announced for candidate for the presidency, it was the first time I contributed money in a presidential campaign. Guess I was one of the first “I’m for Fred” folks. He made since and I think had he won the primary, we would have another Reagan. Fred, if I too remain faithful to our Lord Jesus, ’til I die, I will one day meet you up there. I know, family and close friends, there will never be peace on this earth, but Fred knew peace here, where Jesus is the only peace. The United States has indeed lost a man of the future and friend to all America. God bless him. I so enjoyed watching Mr. Thompson in his many acting endeavors. As I live in a different state, I am not as familiar with his political career. But I’m positive he was as accomplished in it as well. He was also influential in my husband and I deciding on a reverse mortgage on our home. I loved his “country” accent, as I have one as well. He will be greatly miss, but well remembered by his fans. My deepest sympathies to his family. What a truly great and accomplished man. He would have made a great president. Rest in peace with our Lord, Fred!! This is for the family. and I hope you don’t think it is a bit strange. I never met Fred but have always admired him. Rarely does a man or woman get on chance at stardom in a given field. Fred got two. He was an excellent statesman and a wonderful actor. He may not have had a shelf full of Academy Awards or Golden Globes, but he was always worth watching no matter what he was in. I never heard this question posed to him, but if given only acting or politics, I wonder which one he would have chosen. God bless your entire family and there is no question in my mind where Fred is right now. If Fred was involved, you knew it was an event or company that stood for integrity and old fashioned American values. How AAG and our country will miss him. Good solid senator and good actor. Just happened to watch an old Law & Order and he happened to be on the show that night. I had the opportunity to meet Mr. Thompson at the Capital Grille in DC. I could tell he was preoccupied, but when I approached him to shake his hand and thank him for his work in the Senate, he did not hesitate to shake my hand and thank me for the support. I remember him saying “I can use all the support I can get”. Thank you Mr. Thompson God speed! What a fine man. Mr Thompson would my top pick for this countries future. He will be missed. Regrettably, I never had the pleasure of meeting Fred. He was a great american and he will be sorely missed. As an actor, I’ve always appreciated the amazing ease of his delivery. He will forever be an inspiration to me. My husband and I dated to watching Fred Thompson on Law and Order. We went about our lives and I came to work at AAG thinking how awesome is that. Im working at tge compamy that has a spokesperson that is a very memorable and special time in my life. Tho I never was able to meet Fred it made it a special bond for me. 6 months later my husband came to work at AAG as well. Now were both here. Feels like we are were we should be We learned a lot about the man behind the DA we were already a huge fan of. He was an icon and an example to be followed. When my husband and I heard of his passing I looked at my husband and said ” Wow I kinda feel like a little piece us died today too”. I am honored to be a part of continuing Fred Thompsons legacy by helping seniors live a better retirement. Rest in peace Fred. The world was a better place with you in it. Our prayers go out to Freds family and loved ones as they navigate this difficult time in their lives. Fred Thompson was the epitome of a Southern gentleman. His love of country and putting Americans first should be an example for all. Bless him and his family at this sad time. In fact I worked his campaign when he ran for President. I worked and managed phone banks in 3 states for him. Fred would have made a great President if he wanted it bad enough but his heart was not in it, I wonder now if some of the problems that lead him to his death were plaguing him then? Fred was a very talented man, a great man, he will be missed by so many, AAG will not be the same without him, our country will not be the same without him. Good by for now Fred, we will all see one day soon, time is here today, gone tomorrow! I admired this man as an actor, a legislator and an industry spokesperson. He was terrific at all three. He’s a man I would have enjoyed meeting and sharing a little time with. I wish his family the very best. He was taken too soon. I’m sure he still had much more to share, to accomplish, to teach. God bless. I remember watching Law and Order in the old days and thinking he would be the absolute perfect reverse mortgage spokesman. Turned out he was and we all thank him for that. My prayers go out to his family. Our prayers to Sen Thompson’s family. Fred was a great spokesman for the HECM reverse. Many families have been helped because of the credibility he added to the program. We will always remember his jovial demeanor, conservative politics, and chararcter as a true icon of American entrepreneurship. We will miss him. A fitting tribute to a great American and a fine example of the human spirit. He will be remembered for the lives he touched through not only his acting but his care, concern and patriotism for the United States of America. We can only hope and pray that our current and future leaders capture, at the very least, a hint of his dream for America’s well-being and success. Our thoughts and prayers go out to his personal family as well as those he worked closely with that feel the loss in his passing. He has placed his legacy in stone through his words, compassion and expressions over the years. Thank you, Fred, for your contribution to the country that you so fondly loved. Sending Prayers to his family! Thousands of Americans thank Fred Thompson for accepting the role as spokes person for AAG. Fred was such an honest and credible man, he was successful in assisting thousands of seniors to seek out a Reverse Mortgage. Resulting in many seniors not having to make another house payment and enjoy some of the equity stored up in their home. Fred and AAG, Thank you! An American icon has passed. After touching the lives of hundreds of millions of people, you will be remembered forever. You will be missed Fred Thompson. Fred’s passion for the RM industry and his commitment to America will live on in his memory. My thoughts and prayers are with his family. My thoughts and prayers are your family. Thank you for constant support and providing such a wonderful example of being a caring, supportive and honerable man in all aspect of your life. My condolences to the family and friends of Fred Thompson. He had a way of seeming like family to me, too, even though I never met the wonderful man. May God rest your your soul, Fred. Rest in PEACE Mr Thompson you were a very good speaker to all the people in this world and I must say one hell of a movie Actor may God Watch over you now you are in his hands and now he has someone to speak for him. God Bless you and again Rest In Peace. Mr. Thompson you will truly be missed. May you rest in peace my condolences to the Family. You were a great Actor among other things. I always admired Fred Thompson as an actor and was very happy when I heard he was going to run for president I believe he would have made a great president for America. His honesty and gentleness would have helped us in this country. I was very upset when he left the race. God bless you Mr. Thompson and rest in peace..
Fred was making his way through S.C. when running for President. I drew a Political Cartoon to commemorate the event and asked him to autograph the drawing. He was more than pleased to do so. The passing of Fred Thompson is indeed a terrible loss that will be felt by many! I have always admired Fred in whatever role he was involved. He was a terrific actor, and as I heard,a great lawyer, great Politician, and on and on. Fred would have been a great President! I would like to believe that he is in a better place, but who really knows? Fred, we all miss you and will remember you forever! You will remain in all of our hearts and in our minds! Fred Thompson was one in a million; I can’t believe he’s gone. I was a great admirer of his from the time he was in the Senate. I’ve seen many of his film and TV roles, and although I’m not eligible for a reverse mortgage, I enjoyed his AAG commercials! I always loved seeing a new one come out, and I will miss them. I already miss Sen. Thompson. I know that I agree with many others when I say that he should’ve been President. He was such a wonderful man. Would have liked to have seen you as president I think. I really admired you and a stand up no nonsense man, you really made the Admiral in ” Hunt for red October ” Will miss you. A great man and American he will be missed by many. Rest in peace Fred. I enjoyed all of your “Law and Order” episodes and you were an exceptional man with qualities few of your peers could hope to match. A true gentlemen that I will surely miss. Interview when he said, “I thought Hollywood was dirty, it doesn’t begine to compare with Washinton DC.’ I’ve always remembered that. He was a senator at the time. I most remember Fred Thompson from his role on Law and Order. He had a way of putting own personality in the role as the district attorney. His smooth yet firm delivery kept me a big fan of the show. Rest In Peace Mr. Thompson. I have voted in every presidential election beginning with JFK in 1960; that includes the terms of 10 president’s over 55 years. During that time, there have been very few men that I can truthfully say that I truly respected, and even fewer politicians/actors. Mr. Thompson was a man that I felt deserved everyone’s respect. He was one of the few good men! Soo sad! The world lost a great humanitarian. I really admired who he was and what he did. I wish his family strength in this time of loss. After watching Fred Thompson’s TV commercial endorsement for AAG several times, I was definitely influenced to seek a reverse mortgage from AAG. I am sincerely saddened to hear of his passing. I will think of his heartfelt message as an important part of the added security I now feel with the AAG product he endorsed. You set the bar high for others to follow. Your achievements and attitudes were recognized by many. Your legacy will live on in others. I always sensed a special quality about Fred, even before I read of all of his accomplishments. I enjoyed watching him in his TV and movie roles, and would have loved to see his common sense and humor in the White House. Mr. Thompson he was a great actor and friend to so many people.i loved to watch him in roseanne.law and order.and even on commercials. Mr . Thompson will be greatly missed by millions of people. Rest.in peace god bless you and your family and friends. I watched ALL his movies..A man of many accomplishments..a proud American..Funny..Serious..You will be missed by Sooooo many..around the world..
My mother got a reverse mortgage due to her confidence in something Fred Thompson endorsed. She felt at ease because he represented honest authority. Thompson was a Renaissance man who lived many lives in one. Few can claim his wide range of accomplishments. Even fewer can brag about being as competent as Fred was at each one. His life made a difference and we’re enriched due to his existence. Very good actor (Law & Order) I enjoyed watching him and will miss him. Fred Thompson May You Rest in Peace. Say hello to God for me. I am a Tennessean and am proud of Mr. Thompson. He was a great Senator and I firmly believe he would have been a great president. Was saddened to hear of his passing, but rejoice in his promotion to Heaven. God bless his family and friends. He will be missed. Our deepest and heartfelt sympathy to the family. Our prayers and thoughts are with you. May our Lord Jesus keep his loving arms around all of you during your time of loss. Fred would have made a great President for our country as he was a man of integrity, honesty, morality and strong faith. An icon that will definitely be hard to replace. We will miss him very, very much. Great man….he will be missed….I voted for him when he was on the ballot…..I also listened to his radio show when I could…..I was a big fan of his . I believe that he would have made a wonderful President of the United States, I can offer no higher praise than that. He was a shining example of the Saviour that he served and an shining example of integrity as a Leader of our nation. He is now in Glory and laying crowns at the Masters feet. Thanks for blessing our nation and enriching our lives. You will be missed. Mr., Thompson was a class act! Great advocate for all, especially senior citizens. He will be missed, may he rest in peace. True character is what comes to mind when thinking of Mr. Thompson a character of what Americans should strive for during the course of there day. Thoughts for his family during this difficult time. Fred seemed to be a man of great character, who felt a strong need to serve his country. His family can be very proud, as well as his friends and colleagues. Integrity comes to mind when remembering him. Rest in peace. Fred Thompson came across as an honest person, a person you could believe. I always enjoyed seeing the AAG ads featuring Mr. Thompson on TV. Fred always impressed me to bea person of great integrity and character. He has left a lasting impression with his life of service for our nation. I did not know Fred Thompson personally but I did follow his political and acting career. He was always straight forward in what he said and did as far as I could see. I always admired him for his stance on issues and his forthrightness as he served his country. Fred has his victory. He is with the Savior. I pray for peace for his family and strength as they go through this time. I’ve lived in Nashville since 1968 and have been called for jury duty only once in 1994. Fred Thompson was in the jury pool that day and, being adored by my dear Mother and a true hero to me, I engaged him in a lengthy conversation and asked for an autograph for Mom. His physical stature and that commanding, sincere voice I will remember always. We talked, at least,15 -20 minutes and he made me feel like I was the only person in the room. Humble, sincere, and principled, we were so lucky to have been served by such a great American. All honor to his name and memory. R.I.P Mr. Fred Thompson. A man of integrity, a wonderful actor, father and one of the most honorable of politicians. RIP, sir. A truly great American and a loss way too early. Loved him as an actor, politician and an all around great guy. I wish Mr.John McCain had Mr.Thompson as his running mate.They would have made a great team.They would have won,hands down. HE WAS THE REASON I TOOK ADVANTAGE OF THE REV MORTGAGE PROGRAM.I FIGURED, IT WAS WORTH TRYING, IF A MAN OF HIS INTEGRITY IS INDORSING. THE PROGRAM.SINCE I AM VERY MUCH AWARE OF HIS BACKGROUND,POLITICAL,AND INTERTAINMENT, I WAS EASILY CONVINCED THAT IT HAD TO BE A GOOD PROGRAM. I WAS NOT DISAPPOINTED,AFTERWARD, MY WIFE AND I BENEFITED, EXTREMELY WELL FROM THE PROGRAM,FRED, I WILL MISS YOU FROM YOUR DAYS ON LAW AND ORDER.”RIP”. I Enjoyed listening and watching him act and also fighting for people rights but the most of all a good Christian man a member of The Church Of Christ. God called him home his work was done. He was always a gentleman in my mind. He was so good in L&O. I miss him and his great talent! He was a great man and would have been an awesome president. I love him most on the commercials, but he had just completed a movie. For sure, he came across as a very honest person. I loved him for that. I just saw him yesterday on tv and couldn’t believe he’s really gone. He was also close to my age. Fred Thompson was a wonderful actor. He was famous for his role on ” Law and Order”. He is known for his integrity and his kindness, as well as his talent. God bless him. God Blessings on you and your entire family, in your time of grief. Fred Thompson will be truly missed. Fred Thompson was loved by so many! What a great legacy he is leaving behind. My heart goes out to his wife and children since we know that Fred is in a much better place. Thank you, Fred, for how much you helped get the good word out about reverse mortgages and how they can help so many people. You will be missed!! He came to our office in Orange, CA and shared his sincere gratitude with us. He was a great mean and will be missed by many. A man of integrity who, in my opinion, helped bring reverse mortgages out of the dark with his sincerity and honesty, more so than anyone else. I remember Mr. Thompson in “Law and Order”, “In the Line of Fire” and “Days of Thunder”. Each part was unique and different. he played them all so well. I worked with Fred’s sister in law Katie Kehn at Chowder’s Restaurant in Coral Springs, Fl. and remember when she told me her sister was marrying Fred. Very impressed as I had admired him politically and his acting, as well. He will be missed in both arenas. My condolences to their family and friends. Fred was always inspiring to me. Soft spoken but strong in his convictions!! He will be missed. My prayers for his family !!! We will miss you greatly. You were a great actor and a fair and just Senator. I know you are up there having a great time. God Speed Fred Thompson, you will be missed. he was an honorable man. I lost my cousin this week too. To AAG sorry for your loss. Mr. Thompson was a fantastic, all-a-round true gentile man, A REAL FORM of what A MAN STANDS for. Mr. Thompson will be deeply missed, but will also be deeply remembered in my heart as well as many others. God bless you Fred, Mr. Thompson and all and every member of you’re family. heaven is very happy to have him there. I had no reason to place my trust in AAG when I was considering a reverse mortgage, but I had nothing but trust in what I heard from the late Mr. Thompson. He struck my ‘trust’ nerve in every aspect of his public life. I only wish that his epitaph included POTUS…I know that we would be in a much better place as I type. God speed to a truly good man…. How many people do you know that you haven’t heard one bad thing about? As a contemporary of mine, I followed Fred’s career over the years and he always had a warm place in my heart. At the point of death, the pain is over and his life will stay with me forever. His voice – I always loved his voice. It sounds friendly, honest, caring and concerned. It seems that these words also describe the man. I am grieving for you and happy that you had this man in your lives. I really loved his voice…. It is sad for me to learn more about him in his loss than I knew of him during his life. Thank you Fred, for standing for the best for man kind and being a mentor to many that brought about change for good. I know you will continue to bring glory to God in the heavens! The “GOOD SENATOR” was my hero. I have often wished he would have been elected president. He was a ‘TRUE’ American! I am saddened by the lost of Senator Thompson. I send my heartfelt sypathy to his wife and children. I thank you for sharing him with us. As an employee of AAG, having Fred as our spokesperson made it easier for me to gain the trust of those that I spoke with about a reverse mortgage because they trusted Fred. I am proud to have had him represent us and he will be missed. Tough shoes to try and fill. It has always been a point of pride coming to work knowing we were represented in the media by Fred. I have always admired him and what he was able to accomplish in his life. I liked him in his presidential bid and enjoyed hearing his views. My regret is I was never able to meet him personally, shake his hand and thank him for his example. I was honored to meet Mr. Thompson twice in his visits to AAG. He was a warm personality who took the time to greet anyone who approached him. His dedication to the AAG family will be missed. He brought his strength of character to our company and in the process helped to validate the program that was for so many years misunderstood. He will be greatly missed by the entire AAG family. My condolences and prayers go out to his wife and children and I know he will be taken care of on the journey he is on now. I have been around for a long time and it is very rare to come across a man with Freds’ persona. Freds easy way of speaking and mild manner but making his point and sticking to his values is appreciated. Mr.Thompson exuded integrity and trust. I thank him for representing our company and believing in the Reverse Mortgage Program. My sincere condolences to the family! Fred will be missed! Fred, you are going on in your journey from sense to Soul, and will continue to express the good you expressed with us while here in our midst. You will be missed, but those you encounter now are blessed to have you among them. I got a reverse mortgage because I heard you talk about their benefits in a commercial. While I never met you, I felt as if I knew you from the AAG commercial you were in. You had that honest, forthright approach. While I do not trust advertising commercials, I trusted your word and looked into AAG and a reverse mortgage. It was one of the best decisions I ever made! Thanks Fred, for your service to our country, your honest approach to things, your wonderful, believable part on Law and Order — and for all the other unsung accomplishments. You will be remembered. Great American. Enjoyed his TV & movies. A great American… a great senator… a great actor… a great spokesman for AAG. My general trust and belief in him made me go to AAG for my reverse mortgage. Rest in peace, Fred. Thank you for your service to our country. I also enjoyed watching your performances on television (Law & Order) and also your performance in the movie Die Hard 2. You entertained us, and led us from the floor of the U.S. Senate. I send my deepest condolencs to your family. GOD BLESS HIS SOUL .. I was blessed to meet Fred at a Bowl Expo and actually had my picture taken with him (which is hanging in my office). I publish a bowling newsmagazine and he gave an exclusive interview with the press. He was wonderful. He answered all our questions, told stories, and entertained. None of us wanted him to leave, he had to be dragged out of the press conference. He was having such a great time. He loved people. He is one reason we got a reverse mortgage from AAG. They couldn’t have had a better spokesperson. He was loved my many and will be greatly missed. God Bless his whole family. My husband and I recently retired and decided to do a reverse mortage. AAG was the company we chose due to Fred Thompson. We had checked out other companies but trusted AAG because of Fred. We felt he was an advocate for seniors. He will be missed. I WAS VERY SAD TO HEAR THE NEWS OF FRED THOMPSON PASSING. WILL REALLY MISS SEEING HIM IN THE AAG COMMERCIALS. HE WAS A GREAT MAN, SENATOR AND ACTOR. HE WILL BE MISS. PLEASE PASS MY CONDOLENCE TO HIS FAMILY AND THEY ARE IN OUR PRAYERS. GOD BLESS. I’m from Memphis, TN…in my opinion, he was a great spokesman and a great character actor. i enjoyed Mr. Thompson on Law & Order as well as the Reverse Mortgage spokesman for AAG for several years. I can hardly wait to turn 62!!! Learning of your passing saddened me. However, I believe that he is in a much better place. No more troubles, no heartache, no more pain–Rest in Peace Senator Thompson. A true American Patriot, and always a class act. R.I.P. Fred Thompson. Great heart, actor, politician. Always reminded me of my dad! We’ll see you on other side Mr. Thompson! From the movie Baby’s Day Out where Fred played a detective: “we’re going back to the tick tock to get the boo boo”. God bless and comfort your family. I don’t know him personally but in all of his public endeavors he was a gentleman who was synonomous with honesty and morally.The Bible says there’s nothing better than having a good name and until his last day on earth he maintained that position.My respects to his family. A great narrator and enjoyed his acting. A gentleman per excellence. His swag off and on screen is a copyright!!! RIPP. God Bless you Fred you have been a true man all of your life. So Long Mr Thompson………we will miss you, and Thanks. AAG lost a great spokesperson. Hate to say it but I will miss his commercials. I enjoyed Mr.Thompson on the many movies he played in, I also believed in many of the conservative views associated with his political standard as a U.S. Senator, my prayers are with you family, may God comfort you during this time of bereavement. Thank you Fred Thompson for all that you have given of yourself to make this a better world. You will surely be missed. Fred Thompson was a rarity in this day and time——a public figure to be admired and respected. Thank You, for all that you have given of yourself to us. We truly appreciate all of your endeavors, and trust worthiness. May God Bless and Keep you forever in his loving arms. May your family and closest friends know in their hearts you will meet again, until you do, Rest In Peace kind sir.. I so loved Fred Thompson. He was unquestionably and truly a great American. I would see him on TV and think he was really such a good good person. He was so accomplished and smart. He has a beautiful family and I wish them well. God bless his soul. Jeff Heard. So sorry for our loss & his family’s loss ……another good man in heaven…RIP Mr Thompson!! He was a voice that projected trust, and a presence that delivered respect… I will miss his image, but the memories will keep Him alive. R.I.P. Fred will be missed because of the family he left behind. However, he will continue to live in our memories so he is not gone or forgotten he’s on a new journey. May he continue his new journey in the Lords path. I was very sad to hear of Mr. Thompson’s passing. I pray that God’s peace and comfort be with his family and friends during their time of sorrow. Although I did not know him personally, I perceived him to be a good and honorable man whose word could be trusted. His endorsement of AAG was a major factor in my choosing to do business with them. I also thought he was a very talented actor. I was sorry when he did not run for the presidency. His life made a difference and his loss will be felt by many. Although I did not personally Know Mr. Thompson I knew of him in politics and of coarse in the Movies. I was very Happy when he ran for President, the American People lost out by not voting him President. Rest in Peace Fred Thompson, you will be missed. Felt like he could be trusted. While he was a Republican, he was first and foremost an American. America lost a really good man. Yes, Fred will be missed by all of us. During his public lifetime, he made us mad, happy, laugh, cry, and every other sort of emotion. God – you have another winner in your midst. Fred was an Outstanding American and worked hard to support our way of life. I loved to hear him as he talked on any subject. He will be in our thoughts and prayers. We have always believed that Fred Thompson was a honest and admirable man. It was evident in every phase of his life wether acting, serving our country or being a spokesman for something he believed in. He was the biggest reason we chose to go with AAG for a reverse mortgage. He will be truly missed by those in his professional circle but we are sure equally missed by his family. Fred Thompson was a rare individual who served this country with integrity, honesty, and a sincere mission for the welfare of those he served in Washington. He completed his calling in Washington and returned to his work as an actor and a lawyer. I wish all of the the Senators and Representatives would follow suit of serving the people of this nation then leaving and returning to their chosen professions outside of politics. This man is a beacon for what this country should be. My prayers and warmest wishes to his family during this difficult time. Our deepest sympathy & thoughts to Fred Thompson’s family. Always enjoyed seeing him in movies & TV. I only remember Fred as a actor having made several movies. I enjoyed his presentation for AAG reverse mortgages . May he rest in peace. My husband and I truly enjoyed seeing Mr. Thompson in many things. However, the two that stand out to us are his Law & Order episodes and his work with AAG. He threw himself into his roles and gave much enjoyment to those who were privileged to see him on the screen. Praying for God’s peace and comforter to be with his family at this time. ….A Great Senator for Tennessee and spokesperson for…. AAG! Mr Thompson seem to be a caring human being. May you rest in peace. I remember Fred in Hunt For Red October, and that he replaced Sasser in the Senate. When he left the Senate, at some point he became the spokesman for AAG. He ran for President and would have made an excellent one, but it wasn’t easy, and I believe he was more interested in the young wife and family he had. A man of great integrity, honor, talent and wit. He will be missed and many of the Senators presently there could have learned a great deal from his persona and abilities. Fred was ill with the disease, that just took him, when he ran for President. But, he was being treated and did not fear what was ahead of him. May God grant him Ever Lasting Peace, and look after his family that so dearly miss him. I only remember Fred as a complete and esperienced actor having made several movies. I enjoyed his presentation for AAG reverse mortgages . May he rest in peace. You all have been blessed with a man who stood tall (literally), and lived what he believed with honesty, valor, integrity. He was faithful to his family and everyone who touched his life. How do I know all this? His chosen virtues went before him bringing honor and success to every interest and love in his life. The world needed him and hopefully many will pick up his crest of honor and continue in his stead. I’m sorry to hear about Mr. Thompson RIP and prayers to his family! He was a great man and may he Rest In Peace. Fred was an icon of America, having accomplished so much, having stood for so much, having lived for so much. He was a mountain of a man, admired and loved by many. We shall miss him greatly. My old friend, Senator Fred is gone. We worked together on the Reagan campaigns and the Republican National Committee. Look up “PATRIOT” in the dictionary and Senator Fred Thompson’s picture is there. Fred was a wonderful actor, statesman, and all around person. I had a tremendous amount of respect and admiration for him. May he rest in peace. He will be missed but not forgotten! Most recently on our area channels, Fred walked the sidewalk reciting his part for the commercial, and I always looked up to watch him though I had seen it many times before. His southern drawl and warm demeanor captured me. GOD Bless Fred’s Souls, and comfort his family and friends. Thank you for your service to this country. Politics notwithstanding, you helped shape some of the important issues of our time. God rest your soul. ;Mr. Thompson was a fellow tennessean like me that took great pride in his home state. He, as a politician, gave the state of Tennessee the best representation possible and to the extent that it could have been, ever. Though his interests and endeavors were many, I respected the man for his directness, his honesty, integrity and character. THAT, is something we don’t see or get much of these days from our politicians. Most, IF NOT ALL or our representatives in Washington D. C. SHOULD l, AND COULD, learn from that man, A real man. I never met or knew him personally but, I consider that a loss from my life. My condolences to all his family and may God afford him eternal peace. Cindy and I will miss Fred. An actor and gentleman we admired and enjoyed watching. Fred was what many of us define as having qualities of a true leader. He would have raised the bar as President of the United States, as he raised the bar along the way. Regards, Tom and Cindy Fuller. we felt his honesty was genuine. Thus we took out the Reverse Mortgage through American Advisor’s Group. He has finished his course here. May He rest in peace and his relatives find comfort knowing he did his best. I remember Fred when he was on Law & Order…good actor. When he used to do the comercials for reverse mortgage, he was friendly and reminded me of my dad. I am truly sorry for the loss the everyone feels…he will be missed. Some do not give anything for others, some give a little, Fred gave a lot. I along with many others mourn the loss of this great gentleman. He added so much to our lives, and left us much too soon. Condolences to his family and close friends. So sad, a year younger than myself. Trustworthy, honest and a true American. God Bless his family. Fred Thompson will be missed by many. He was a fine actor and an excellent senator. I believe he would have made a very good President. I am sorry he did not run as many of my friends think. We felt we could trust him in running our country at a time when we need someone like him. A person who had values and who believed in our country. Rest in peace, Senator. You will be missed by many. Fred Thompson was a great representation for AAG as many seniors know. He represented a safe, educational & wonderful topic with Reverse Mortgages. As an actor loved seeing him in Law & Order SVU as well as many other acting roles. He will be sorely missed. Rest in Peace Fred as you reside in God’s house. Loved Fred Thompson in Law and Order, SVU, and reverse mortgage commercials. Especially his conservative values. Fred will be missed. He was a common sense Senator, wish more were like him. I enjoyed him on the TV show Law and Order, and the AAG commercials. He was one of the reasons I went with AAG. Prayers for family and friends. God Bless. Fred was an actor I so enjoyed,especially on Law and Order.He was a man of great beleife that our country is so great that he made a crusade to make it even better.He was a true American. He will be sorely missed. My thoughts and prayers go to his family and friends. I always enjoyed Fred Thompson as a Senator with a meaningful message. A very astute and deliberate individual willing to take on the tasks at hand and deliver strong results. He will be sorely missed . Best wishes to his family and friends at a time of grief. Thanks for walking your walk, Fred. You made us feel loved and supported through your honesty and good work. I always enjoyed Fred Thompson as a Senator with a meaning full message. A very astute and deliberate individual willing to take on the tasks at hand and deliver strong results. He will be sorely missed . Best wishes to his family and friends at a time of grief. The good and wise always leave us too soon. He will be sorrily missed. Sorry to hear of Mr. Thompson’s passing. While i did not agree with most of his politics, I did always feel that he was a straight -shooter and an honest man. Enjoyed him in many old movies and Westerns. Especially good in Law and Order. Condolences to his family and friends. I THOUGHT HE WAS A GREAT ACTOR, LOVED HIM ON LAW AND ORDER. HE HAD A KIND OF VOICE THAT MADE YOU FEEL COMFORTABLE. WILL MISS SEEING HIM ON TV. GOD BLESS HIS FAMILY. What a lost, He will be surely missed by all. Loved him as an actor, just a fine human being. May he rest in peace, he has completed his legercy and will continue On in Heaven. To me, Senator Thompson seemed like a trusted friend. I will thoroughly miss seeing him on TV. I loved him as a Senator, hoped he would be president, and I am truly a Law and Order addict. He was so good, it seemed, at everything he tried. I am so sorry for the loss for the country and most of all to his family. I am especially sorry for his wife and young children. I hope the children are at least old enough to have good memories about their Dad. Maybe knowing how much Senator Thompson was admired will help them all. This is a terrible loss. was a good Conservative. Hard to do in Hollywood. He was a man of many talents and he will be missed. Will miss his wonderful sense of humor. Mr Thompson was a kind and honorable man. He had qualities very rare today. Reminds me of the qualities of Ronald Reagan! To Fred’s family, he has gone to his forever home and waits for you to join him in a beautiful place. May God give you peace and comfort in these difficult times, he was a great man with a capturing voice- he will be missed. Fred Thompson was an honorable man. He personified to me what a great president would be and when he decided not to run for president I was thoroughly disappointed. He was the kind of man that we need today to lead our country. Every time I saw him on the screen I would smile because I knew that this was a good man. He surely will be missed. Best wishes to his family, hold on to each other for comfort knowing that you had him for the time that he was on this Earth because life is to short. I don’t know what to say other than, although I did not know him personally, I was so incredibly affected and sad when I learned Fred Thompson had gone to Heaven….. The man’s mere presence made a statement. A statement that personified integrity, intelligence, strength, compassion, wit…. Fred Thompson quite literally had it all. He will be sorely missed by everyone — those who knew him personally will bear the worst of it, but believe me, I am certain that I am not alone in saying that though he was not my personal friend, I am going to miss him very much 🙂 BIG HUGS and LOTS OF LOVE to his family and the friends and loved ones he left behind….. I was very sorry to hear of Fred Thompson’s passing. You couldn’t help but like him. I think he would hav been a wonderful President. So sorry to hear of his loss. He was a very special man. RIP and prayers to his family. I am really sorry to hear of Fred Thompson’s passing. I really enjoyed watching him on SVU. When he was thinking of running for President a few years back, I thought he would make a good one. Rest in peace, Fred. A difficult loss to all of us , a great man ! Fred Thompson was a man we greatly admired. We supported his bid for the presidential nomination in 2008. This country would be much better off had he won the nomination and election. Because of the trust we placed in Sen. Thompson we chose AAG for our reverse mortgage. We will miss you – you were a true gentleman and patriot! I remember Fred Thompson from law and order on tv as head of the da’s office.As such, when I was considering a reverse morgage, his was a trusted face. He was a great person and will be missed.May God’s Love be with his family and friends as comfort like no other can give. With God’s love and ours too. The Johnson Family. Fred Thompson was an honest and sincere gentleman both on off screen. He was the type of individual we desperately need in the Whitehouse. Intelligent, compassionate, courageous Christian, leader and family man. I will miss him immensely. I HAVE SEEN HIM ON TV MANY TIMES. HE WAS VERY SINCERE ABOUT AAG AND HIMSELF. VERY CONVINCING. I also remember him being a very good, FOR THE PEOPLE PERSON. WHILE IN OUR GOVERNMENT IT IS A SAD DAY FOR US AND WE WILL MISS HIM. BILL NEIDIGH JR.
My husband and I have always admired Fred Thompson, and his integrity, honesty and all around great American ways. We were so sad to hear he had passed, a great man was gone. May sound corny, but the fact that he represented AAG was a plus for them when we researched a rev mort company to work with. He will be missed. I agree with above people who wished he could have been our president-would have done things right. Condolences to his family and friends. Fred Thompson seemed to be good at everything he tried. Although he never had a lead role in movies or television, his role and performance as a supporting actor always seemed to be critically important to the story, character and enjoyment of the movies or television shows he performed in. His opinions mattered, and his service as a politician was first rate! Even in commercials, as in his role as a spokesman for AAG, he seemed to lend credibility and certainty to the information he was providing. I’m sure he would have been a good President and was sorry that he was unsuccessful in his bid for the Presidency. My wife and I were sorry to hear of his passing, and we will miss him a lot. We were featured in a Fox News Special on the Bob Massi Show because we chose an AAG Reverse Mortgage; and we enjoyed sharing our story to help others make a decision for a Reverse Mortgage in their Senior Years. We always joked with AAG folks that we hoped they would let us meet Fred Thompson the next time he was in Las Vegas. It was because of Fred, that we chose AAG. Condolences to his Family from we who were influenced by this great Statesman! No matter what role he played during his life, he was excellent. My condolences to his family , my prayers are with you. You were an inspiration to so many. As a senior and cancer survivor, I applaud your fight each day and your will to go on.Thank you for all of your contributions in politics, acting and being a decent human being. We will miss you. I offer my sincere condolences to the family of Fred Thompson. I enjoyed his performances as an actor. I am aware he was the United States Senator from the state of Tennessee. God bless your family and friends at this time of loss and sorrow. What is left to be said! He deserved every kind and respectful comment given in his name. Bless those who learned from him and shared life with him. I Never met this wonderful man in person, but is as if I knew him all my life as my friend. Fred was the man I always wish I could be, a man for all seasons. I will miss his presence and the wisdom he shared with all of us. He was part of my life as I grew up and now as growing old..
God bless his family and may they be comforted knowing he was loved by millions. Fred tompson is a man we can trust. His integrity and trustwortheness is why I chose aag for my reverse mortgage application. Mr. Thompson embodied much of what America can be proud of. We all enjoyed him as an actor and I am sure that his constituents and all of us will miss him in his role as a legislator. There was something about his real character that relayed calm and confidence. To his family and close friends, please accept my sincerest condolences. Flight of the Intruder / The naval captain sent to investigate the unauhorized prescence of and subsequent un-authorized bombing attack of downtown Hanoi by 1ea A6 Intruder. His speech at the ART 32 hearing about what makes our military different from all other reminded me of why I enlisted at 19yrs old in 1972. Law and Order / the district attorneys role. I thought he made the political side of the district attorneys office real and understandable. Finally, he became what Thomas Jefferson and George Washington understood our elected representatives to be…… he came to Washington and then left office on his own when he felt he had done what he set out to do. Quote a difference from the little rich boys of the Dumbocratic party. For all the people / characters you brought to life on the big screen and small and for NOT becoming a professional Senatorial pimp like some. A Man Of Courage & Integrity Who Epitomized The Best Characteristics of America and It’s People. He seemed to be a man you could TRUST, and that should say it all. Would have made a great president. I admired Fred Thompson as an attorney, enjoyed him as an actor and respected him as a legislator. He was truly a unique combination of all that was good in this world. He is gone entirely too soon. I will always have the deepest respect for the great southern gentleman. He will be missed by my family. Fred was a sweet, funny and fiercely intelligent guy with a gentle heart — a bear of a man who was warm and considerate towards all those around him. From his time as a young attorney on the Watergate Committee to his years in the United States Senate, Fred Thompson leaves behind an honorable legacy of public service. Whether it was on the screen or in the Senate, Fred always made you proud to be a Tennessean. Over his long and accomplished career, he never forgot where he came from – he was a Tennessean through and through. Despite our political differences, Fred was always encouraging to me and I valued our friendship. He led an eclectic life from his time as an outstanding congressional staffer during the Watergate hearings and as a fine attorney, actor and public servant. Our state has lost a larger-than-life figure. His quick wit, his hospitality, and his conservative beliefs reflected the best attributes of Tennessee. Fred Thompson lived life to the very fullest. The first in his family to go to college, Fred would go on to become Watergate lawyer, Senate colleague, presidential candidate, radio personality, and icon of silver and small screen alike who didn’t just take on criminals as an actor but as a real-life prosecutor too. Working at his side in the Senate for eight years, Fred embodied what has always been the best of Tennessee politics – he listened carefully and was happy to work across the aisle for causes that he believed were right. From the courtroom to Capitol Hill to Hollywood, his larger than life personality was infectious and had a way of making all of those around him strive to be better. Through his many different roles in public life, Fred never forgot where he came from, and our state and country miss his common sense approach to public service. He was a good-ole-boy from Lawrence County with a lot of talent and a lot of gifts. Tennessee has lost a great statesman and one of her favorite sons. Crissy and I have always appreciated his friendship, and we will miss him. At a moment of history’s choosing, Fred’s extraordinary integrity while working with Sen. Howard Baker on the Watergate Committee helped our nation find its way. I was deeply inspired by his matter-of-fact, no-nonsense moral courage in that crucible. He was one of the most successful Lawrence Countians. Very few people will make national news when they die. He was just a regular type guy growing up. He was one of those rare cases where after he reached early adulthood, Fred made a radical change and started studying and applying himself and he’s proof that anybody from anywhere in America can succeed if they work hard and apply themselves. We grew up together as kids. Our families attended the Church of Christ together. He was a lot of fun. He was a good guy. A good, southern, moral guy. If Fred got the least bit bored with one of his careers, he found a way to start another one and he was successful at all of them — sometimes juggling several at a time! He will be remembered by most Americans as an actor who became a politician. But he also was one of the most gifted pols of his generation, possessing a natural ability that helped him win a Senate seat with ease but also led to his underwhelming 2008 bid for president. More than many of his contemporaries, Mr. Thompson, a product of a small-town upbringing, demonstrated the extent to which American life was open to possibility, in the courtroom and the hearing room, in the halls of Congress and on the sound stages of the entertainment world. Tennessee has lost a great son, as has our nation. Fred had this extraordinary ability to capture people’s imagination. And Fred was unabashedly proud of our nation and never apologized for what our nation has done around the world to make the world a better place… We will miss him. He is a rare talent. He is one of those people that just makes you want to do better when you’re around him. I thank him for his tremendous service to our country. I thank him for the tremendous and deep friendships that he created all around our state. And I thank him for causing all of us to constantly remember where we come from. During his tenure as senator, Thompson gave focus and badly needed attention to issues of government mismanagement that needed improvement. His oversight led to the enactment of government management laws designed to make lasting changes that addressed big challenges. He leaves a proud legacy of defending the precious tax dollars citizens invested in their government. Former Senator Fred Thompson, who died Sunday at the age of 73, was one of the most colorful public figures of recent times. A politician, actor, attorney, lobbyist, columnist, and radio host, he was known to millions by his craggy visage and deep, gravely voice. Every time I saw him, I was reminded of what people once said of another prominent senator from our history, Daniel Webster: “He was a living lie, because no man could be as great as he looked. Senator Thompson was a leading spokesperson for our industry, and helped guide many seniors to the benefits of a reverse mortgage. He will be missed, and our thoughts are with his loved ones and friends at this difficult time. Our condolences go out to Fred Thompson’s family on this very sad day. Fred was a tremendous advocate for all Americans and the American Dream. He dedicated his life to making a difference for his fellow citizens, from his time as a U.S. Senator, to his Hollywood career and ultimately onto his work as one of the preeminent spokespeople and advocates for the reverse mortgage industry. Fred lived an ideal-driven life and sought to make positive strides in people’s lives. And for that, he will always be remembered fondly. Fred Thompson was a fine gentleman, thoughtful advocate and effective spokesperson. In the case of reverse mortgages, he was more than just a celebrity featured in ads. He was a true believer in the concept and its ability to help people manage their financial affairs. This was evidenced by his counseling his own mother to use a HECM. We are saddened by his passing at such a young age and will miss his vigor and wit.